Rent meeting space at The International School of Hospitality’s new Education Building, a modern facility with classrooms from 397 to 1294 sq ft. 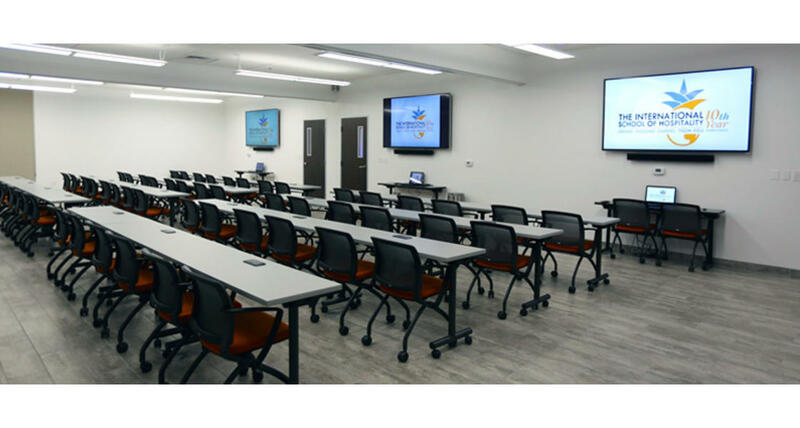 Located just 5 miles from the Las Vegas Strip, the venue offers convenient parking, contemporary training tables with power. WiFI and AV available for no extra charge. Rooms can be set-up in classroom, theater or U-shape. Pictured is our A+B+C classroom with max seating at 64 and max standing at 135.